Valentine Day is a great love event for all, they may be matures or college or school aged. We are expected to receive lots of cards of love and affection at this colorful day. 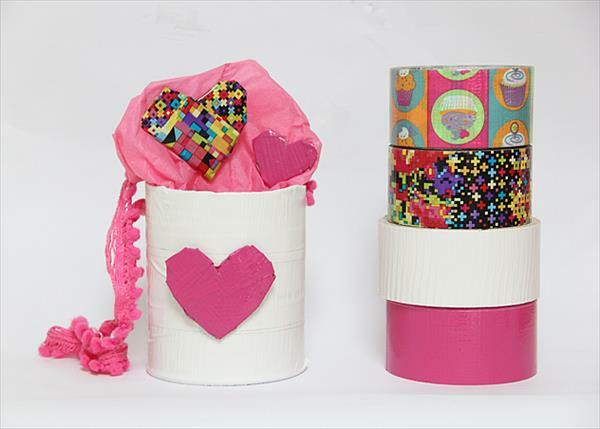 So we have designed a DIY duct tape basket which will be used as card container. The whole layout of basket has been made massive and charming with love patterns and themes to it. The white and pink color glorifies it as a whole to captivate and inspire every looking eye. The whole idea is on an economical and cautious budget out of recycled and repurposed material which remain no longer in home use. 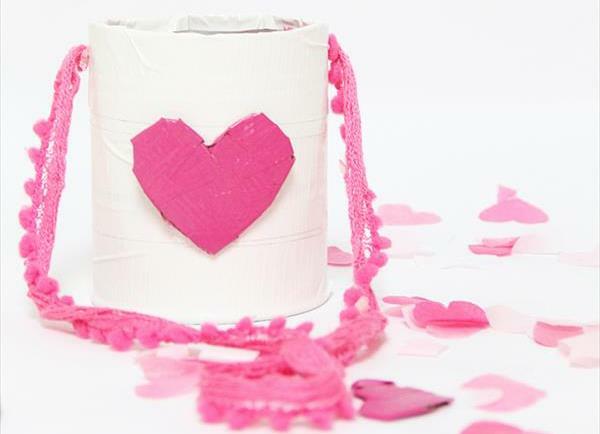 We have achieved it through empty paint or coffee tin cane and have totally made it smashing and captivating with duct tape work on it for flattering and chic impact. The construction is so simple and quick to try at home. Cut the cane with some sharp and clean cut through knife in given dimensions. Give it a base cover and background theme with white duct tape. 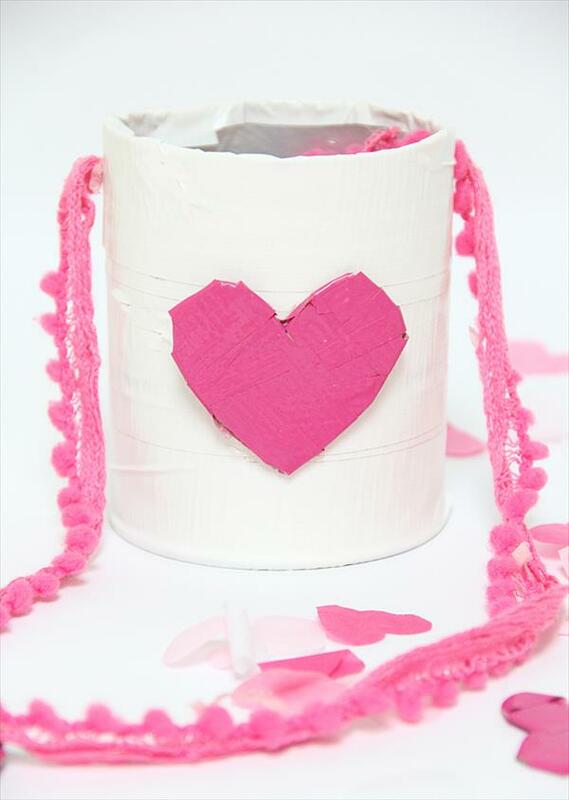 Then pick the hot pink heart pattern and fix it the mid with super glue. 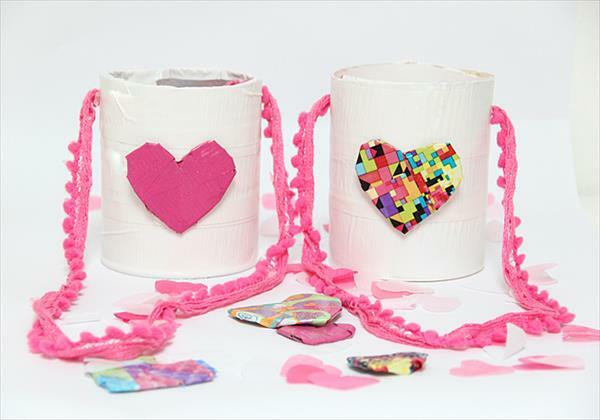 Drill some holes on both sides and put some colorful and crazy pattern ribbon strips for our DIY duct tape basket handles. 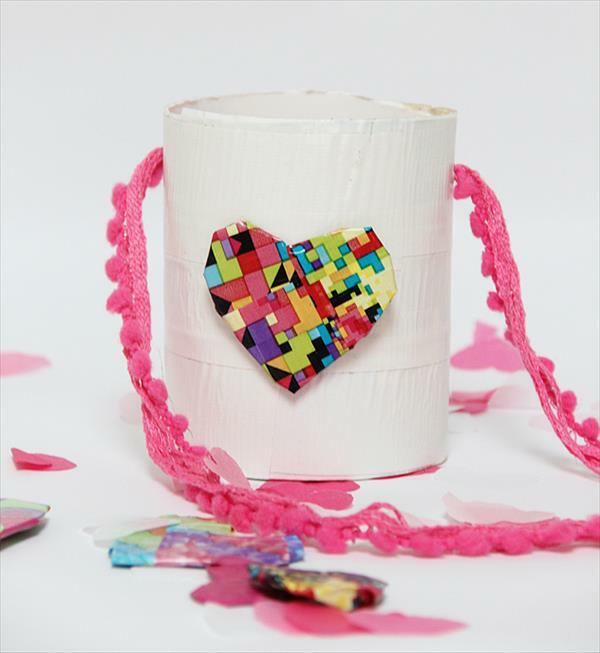 You can be lustier about love patterns with some metallic and glowing love and heart shape decorations. And you’re done and ready to enjoy your own handmade delight through duct tape.